Research Indications: Serotonergic research, Anxiolytic Research, Psychoneurodysfunctional Research, HPPD-related Research. 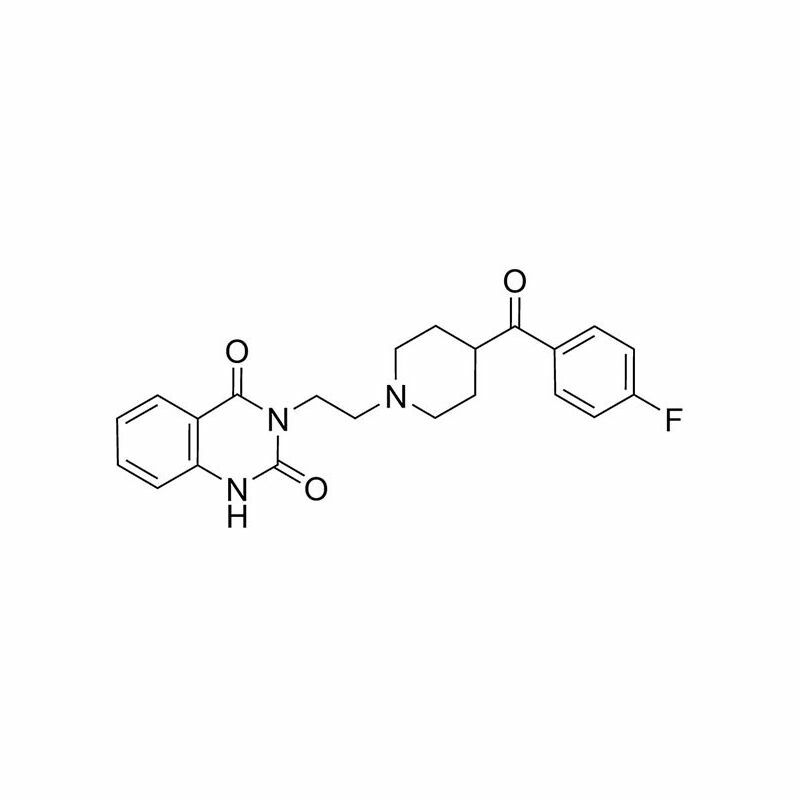 Ketanserin is a high-affinity antagonist of the 5-HT2A receptor (Ki = 2-3 nM). However, it also blocks the H1 receptor with high affinity (Ki = 2 nM). In addition, ketanserin less potently antagonizes the α1-adrenergic (Ki = ~40 nM), α2-adrenergic = ~200 nM), 5-HT1D (Ki = ? nM), 5-HT2B (Ki = ? nM),5-HT2C (Ki = 100 nM),5-HT6 (Ki = ~300 nM),5-HT7 (Ki = ? nM),D1 (~300 nM), and D2 (Ki = ~500 nM) receptors. It also blocks the vesicular monoamine transporter (VMAT). Ketanserin is an extremely potent 5-HT2A antagonist; showing 2.01 Ki (nM) affinities for human 5-HT(2)A receptors (1) (2), the nearly unsurpassed affinity and near total selectivity for the 2A receptor over other serotonin subtypes, confine ketanserin to one of the most or most viable serotonin antagonist compounds. Many other drugs have some semi-appreciable affinity or even very potent affinity for the 2A receptor (but the majority don't run close to ketanserin) , but the problem is their clinical use for conditions specifically involving this receptor (or for research) are limited due to their occupation of other receptors across multiple other neural networks and neurotransmitter systems(3). Examples include, anti-psychotics, tricylcic anti-depressants, and some anti-migraine drugs. However, some of the therapeutic use of medications in the above classes seems to be partly rooted in their 2A antagonist properties...which prompted further studies with ketanserin(4)(5). 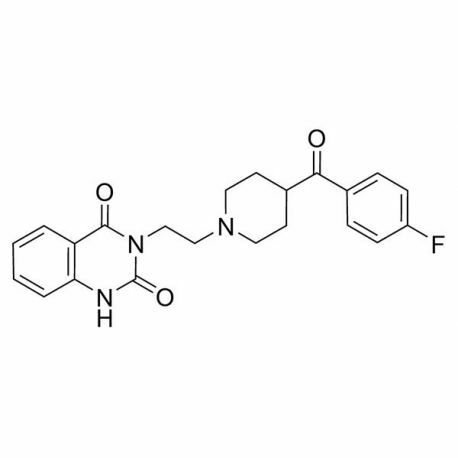 Ketanserin is shown to improve brain derived neurotrophic factor release, especially if coupled with other serotonergic agents or some modulators(6)(7). Ketanserin also decreases nicotine self-administration and thus may be useful as a quit smoking aid or augment to a quit smoking regimen(8). Ketanserin is also highly efficient in reducing hypoglycemia and stress induced increases in Prolactin (PRL) Cortisol and ACTH, making it a powerful anti-stress and hormone preserving compound(9)(10). Back to the main topic at hand..ketanserin has powerful anti-depressant effects, and it can be an excellent augment to traditional anti-depressants and to lesser known, tricylclic or NaSSa anti-depressants. A large paper was written by the Indian Journal of Pharmacology , in late 2014 (just last year) , demonstrating the effects of ketanserin on escitalopram treatment. When adding ketanserin, behavioral abnormalties induced by the SSRI, along with other side-effects such as hyper-emotionality and decreased spatial performance were ameliorated/reversed(11). Additionally, signs of mania in other , more central 2A studies were demonstrated to be reduced, and this is also consistent with the use of other psychotropic agents with affinity for the 2A receptor, being utilized in bipolar depression and mania alone(12) (13). Ketanserin is such a strong 5-HT antagonist, that it was able to relieve PSILOCYBIN-induced deficits in behavioral inhibition (14) as well as blocking overstimulation by LSD , which speaks for it's potency as the comparison substances are pretty damn strong!! Obviously, if one's goal is to study and / or experience the effects of hallucinogens, then ketanserin is a one way street to blunting the effects, but that doesn't nearly equate to uselessness. Ketanserin also shows anti-Psychotic properties itself (15) (16), because of the above, and even greater, ketanserin can COMPLETELY REVERSE anti-psychotic drug induced catalepsy (17) !! Finally, ketanserin shows immense promise for immediate and persistent treatment of high blood pressure. It's pharmacological properties allow for treatment of HBP incidences due to both adrenaline excess as well as serotonin excess. To date, there aren't any real standalone drugs that act on serotonin receptors to reduce blood pressure, at least not solely. This one is valuable and diverse, and thus represents a novel strategy for targeting multi-pathology hypertensive occurrences(18)(19). In conclusion, results with ketanserin are VERY promising, making it an ideal candidate for. Alleviation of high blood pressure from both serotonergic and adrenergic excess. Alleviating stress induced hypertension. Reduction of stress and hypoglycemia induced cortisol, ACTH and prolactin release. Optimization of hormone parameters. As a behavioral modulator, reducing mania and psychosis. As an anti-depressant and anti-depressant therapy modulator/augment. Reversing behavioral inhibition (anxiety) and overstimulation due to hallucinogenic drugs. Reducing nicotine self-administration and thus a suitable tool as a quit smoking aid or in the development of regimens for this purpose. Helping to alleviate anxiety disorders .